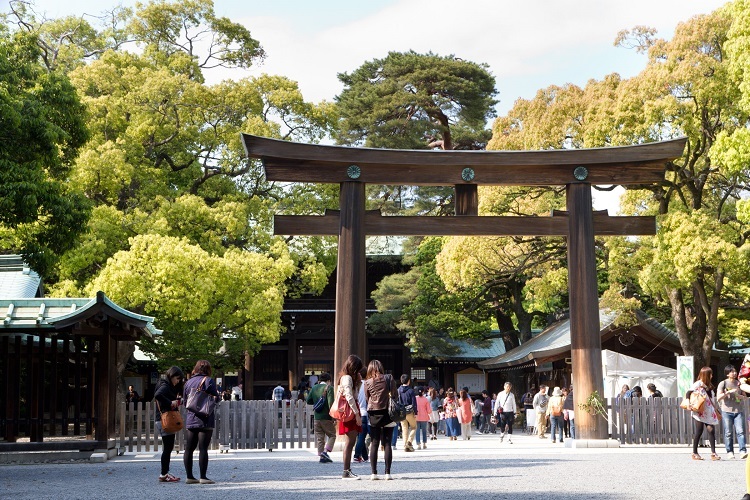 Meiji Shirine （明治神宮、 Meiji jinguū） is the largest and the most popular shrine in Tokyo and deifies the soul of Emperor Meiji and Empress Shoken. Emperor Meiji is the first emperor as the top of a constitutional monarchy, so after his demise, Meiji Shirine was build for burying him reverently. The nearest station is Harajyuku station (JR Yamanote-Line) and Meiji-jingūmae station (Tokyo Metro Chiyoda-Line and Fukutoshin-Line), and you can go to the south (main) entrance from the stations within 1 minutes on foot. Also, Meiji Shirine has no holiday, but the opening and closing time differ depending on seasons. *On 12/31, Meiji Shirine is open for 24 hours. Also, If you make a plan to visit Meiji Shirine in 12/31-1/3, you will always get caught in the crowdedness because more than 3 million people visit there for hatsumoude (the first praying of the year).